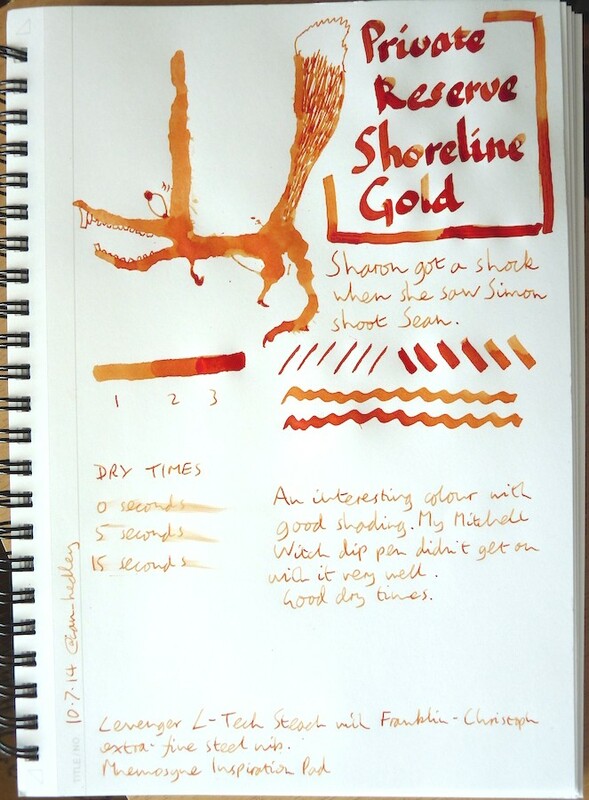 Private Reserve Shoreline Gold ink review – Pens! Paper! Pencils! This is an interesting colour with good shading. It was a little runny for my dip pen. 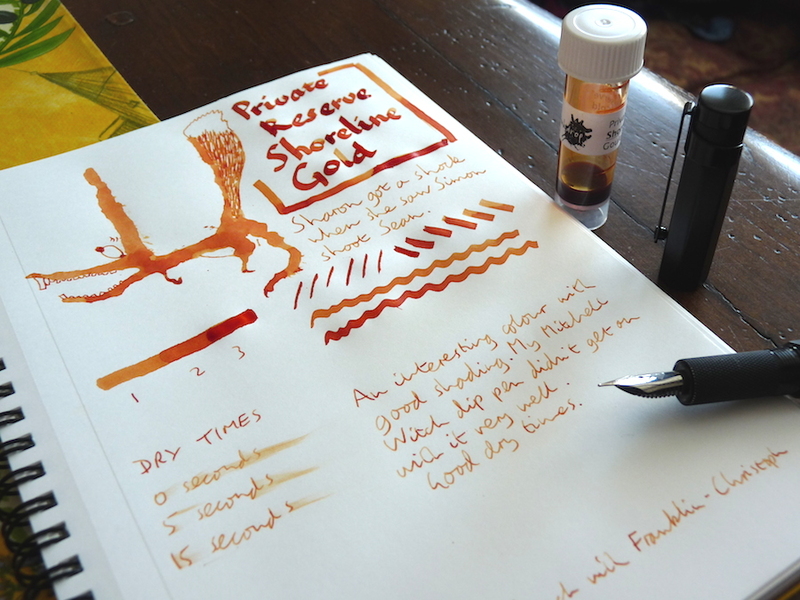 Private Reserve inks need a little care with some pens. I do like this colour, though. Thanks Azizah. Yes I think it must be the newer version, I got it in a Goulet Ink Drop not so long ago.